A toggle switch, for a 12mm panel hole. Available in an on/off, or on/off/on version. Current rating 10A. 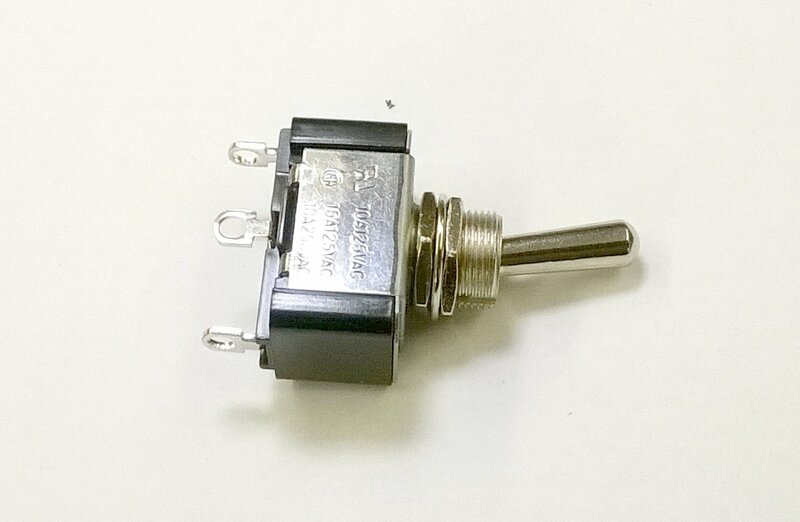 A toggle switch, for a 12mm panel hole. Available in an on/off, or on/off/on version. Current rating 10A. Heavier duty than the miniature toggle switches and more suitable for control panels that need to be more robust.